Not all flower crowns have to be huge and made of bright colored flowers. 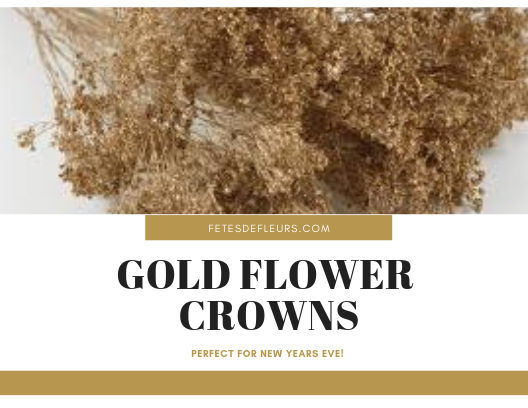 Sometimes it is just as lovely to have a dainty flower crown that can be worn with a fancy outfit like on New Year's Eve. Gold flowers can fancy up any outfit. Gold in general can fancy up any outfit. When you use flowers that are sprayed in gold or dipped in gold you automatically have made florals more fancy.